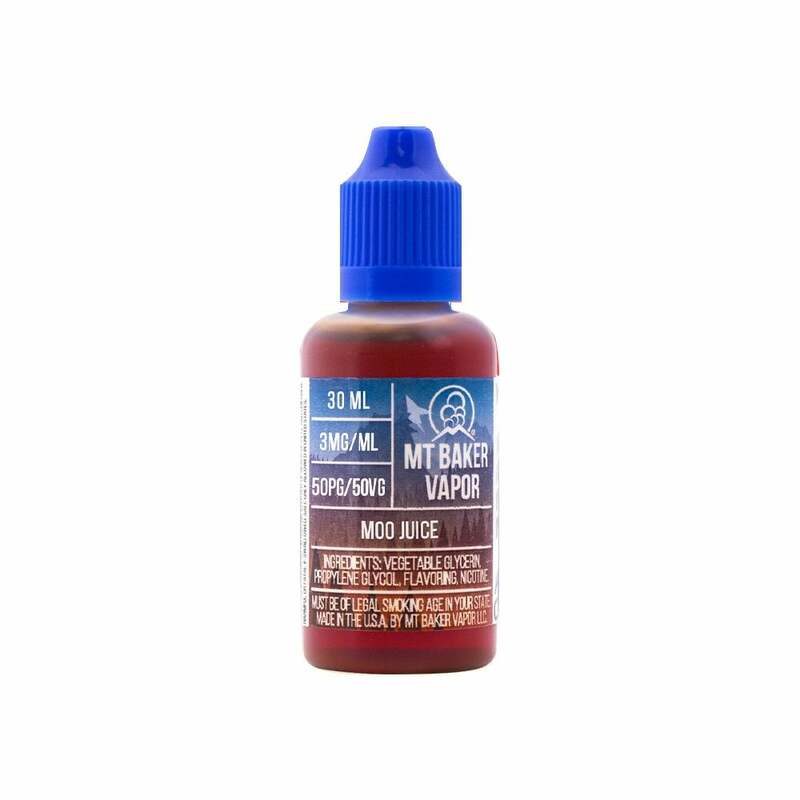 Moo Juice by Mt Baker Vapor is a creamy muffin cream vape with strawberries and pastry notes. This juice is for anybody who loves fruity dessert flavored vapes! I taste no strawberry, no muffin, nothing but perfume. It tastes like licking someone's neck after they put perfume on. Nasty! Electric Tobacconist, tho. They are great! Super fast shipping, I love the tracking they provide! Great company! I just hate THIS juice. So far my favorite of the Mt Bakers. Strong strawberry flavor. Nice throat hit. Bottle difficult to use. My favorite flavor! Third time ordering this flavor in three weeks. I am very pleased with this ejuice. I can taste the strawberry but the overall taste is like a buttery strawberry cake... with a very pleasant butter aftertaste. Will definitely be purchasing again! Again, it's really good and the strawberry comes through a lot but I'd have liked it just a little creamier. I don't normally use flavors as I prefer plain old tobacco flavored vapes. I wanted to give this one a try since it was low priced. It has a definite strawberry flavor and is pleasant without being too strong. It also has almost a buttery aftertaste. I am not crazy about it overall, simply because I prefer tobacco flavor. Anyone who enjoys strawberry will probably like this though as it has a natural flavor. This is the first I've tried Mt. Baker and I'm pleased with the product and elated over the price. Here is another mfr. for me to look at. Love the 50/50 blend. I might buy all my juices that way! The strawberry is subtle. Nice product! Love the moo juice...one of my favs & will do a reorder! !